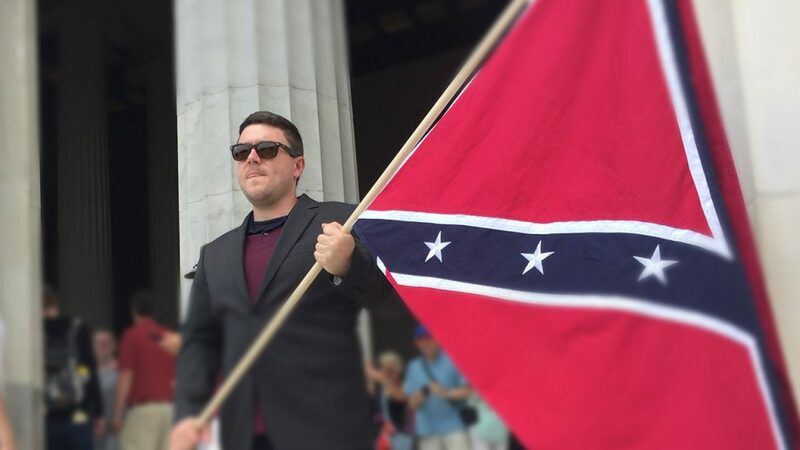 The beleaguered city of Charlottesville has denied a request by white supremacist Jason Kessler for a permit to celebrate the anniversary of the Unite the Right rally next August. The rally held on August 12 ended in a terrorist attack by white supremacist, James Fields Jr. According to a memo from the city manager’s office, the permit has been turned down due to the fact that the, “proposed demonstration or special event will present a danger to public safety”. 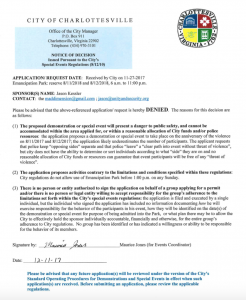 Kessler had applied for a permit at the end of November, claiming that the rally would be, “against the government’s civil rights abuse and failure to follow security plans for political dissidents.” The city manager in his denial of the permit claimed that Kessler was not authorized to sign the application on behalf of any group applying for the permit. 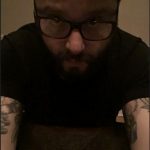 It additionally stated that there was no legally registered group willing to, “accept responsibility for the group’s adherence to the limitations set forth within the City’s special events regulations.” Kessler is currently facing a multi-million dollar lawsuit for his organization of the Unite the Right, which left Heather Hyer dead and up to thirty other people wounded in a vehicular terrorist attack. Nonetheless, according to NBC 29, two colleagues of Kessler have also applied for permits at McGuffey and Justice parks on the same weekend – the city has until Wednesday to rule on these permits. *As of yesterday, both additional permit requests from Kessler’s colleagues have also been denied.